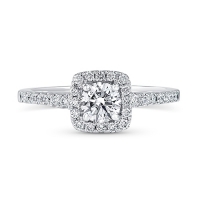 What are the benefits of a Lab Grown Diamond? 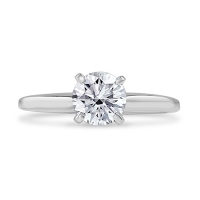 There’s now a new twist to the old saying; now, it’s a lab-grown diamond that’s a girl’s best friend. 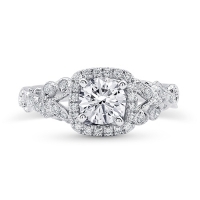 Advocates of the traditional stone may argue, but jewelers and diamond-lovers across the world are slowly waking up to the fact that lab-grown diamonds – which are chemically identical to mined diamonds - are the new face of enduring love. Lab-grown diamonds, as their name suggests, are manufactured in labs under conditions that mimic the natural diamond-forming process, like high pressures and high temperatures. 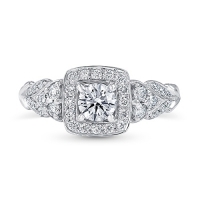 Today, manufactured diamonds are increasingly being used to make remarkable pieces of jewelry. 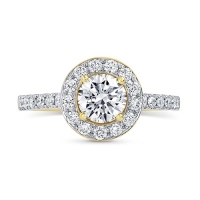 There are several reasons why these man-made diamonds are growing more popular by the day. Here are just a few of the benefits that lab-grown diamonds have over their natural counterparts. Lab-grown diamonds are purer than the stones mined naturally, because unlike mined stones, synthetic diamonds do not have any dirt or impurities ingrained in them. They also have fewer defects, and show fewer signs of strain in their crystal structure, because they are made under carefully controlled conditions. 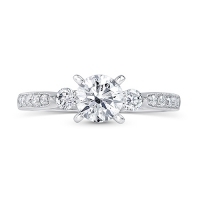 Improved purity means that the diamond is poised to be brighter, better, and whiter. In fact, a large proportion of lab-grown diamonds typically receive higher purity ratings than their natural counterparts. Most diamond connoisseurs prefer to be aware of the journey of their stone from its origins till its acquisition. Unfortunately, the origins of most naturally mined diamonds can be vague, as they come from conflicted regions. Often called ‘blood diamonds,’ these stones have a dark background, and may have been sold to fund armed conflicts or civil disturbances. Even diamonds that aren’t sourced from conflicted regions might carry a history of child labor, human rights violation, and poor working conditions. 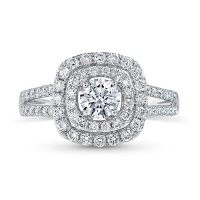 Synthetic diamonds, however, have a clean history and a guaranteed, trackable source. Where colored diamonds sell for inflated prices because of their rarity value, thanks to technology, lab-grown colored diamonds are available for a fraction of the cost of natural colored diamonds. 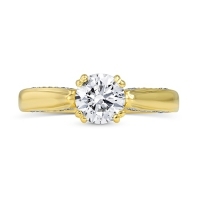 And what’s even better is that they are brighter and more perfect than natural colored stones: lab-grown colored diamonds are pure, steady in color and easy to find. Diamond mining can damage the earth substantially. Mining natural diamonds uses colossal amounts of fossil fuel: but synthetic diamonds have none of these issues. In fact, with the demand for diamonds continuing to rise and the supply of mined diamonds being predicted to dwindle, it is a far more sustainable choice to switch to growing diamonds instead of mining them. Synthetic diamonds are the answer to the growing gap between the demand and supply of this brilliant stone. As a bonus, synthetic diamonds are fully vegan, unlike naturally mined diamonds. Lab-grown diamonds cause little to no environmental damage, and they’re more affordable as well, meaning that lab-grown diamonds offer a great option for everyone involved, including the buyer, the manufacturer, the supplier, and the earth at large.